Our group of international student of Aarhus University, Emdrup Campus should be considered as the coolest stranded people in Copenhagen. LOL. We completely lost in this crazily enchanting city of Copenhagen. From taking care of Central Personal Number (the famous CPR) to finding a place to stay, we were just plain culture-shocked! What else can we do but enjoying whatever this city could bring. 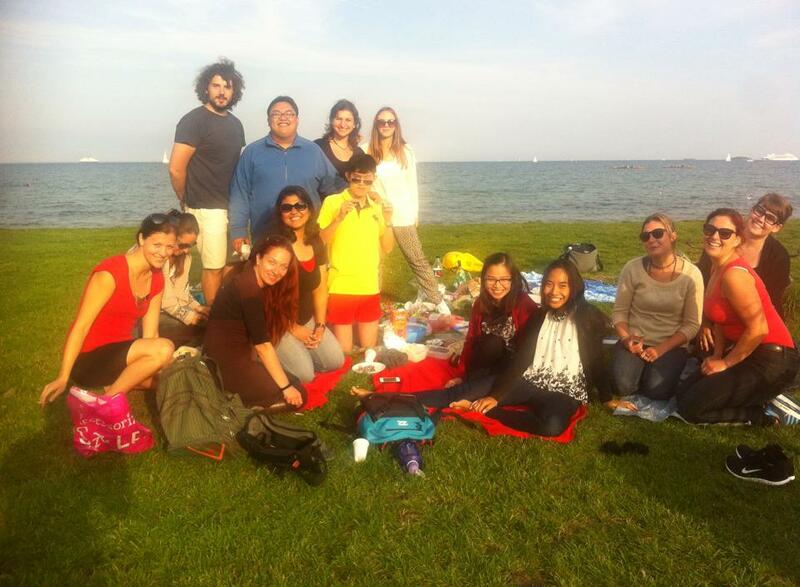 So, on our second week of this fall semester, we arranged a pic-nic. Me and friend apparently lived in the same area and we thought it would be nice to invite the whole gang to see our area, Strandvejen (freely translated as “road along the beach”). And of course we went there. The weather was nice. But who would dare to swim in a Baltic Sea water, would you? 😉 However, we had a nice afternoon, sharing food, laughter and just a breath in the midst of sea breeze. Looking forward for more fun times with this new lovely people. Today, we are strange friends! I am missing my friends. A HEAP! …I am missing one, in particular. I miss squandering time talking nonsense and filling the air with laughters. I miss making stupid and reckless decisions running away from reality. I miss sharing happiness and sadness with you as you share your happiness and sadness with me. I miss us, sharing our dreams and dreaming together. I guess growing up cost a lot. And it costs you. That is when strangers are better than friends. 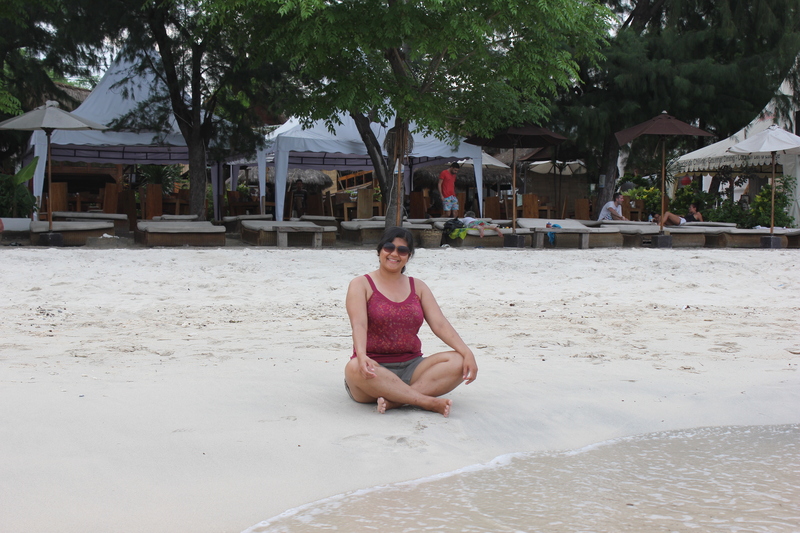 It was my first visit to one of my beautiful country exotic islands, Gili Trawangan. I took a tour, semi backpacking. We travelled from Java to Lombok by bus. It was my first visit to an island on the eastern part of Indonesia. FYI, Indonesia has 17, 508 islands with 5 large islands of Sumatra, Java, Borneo, Celebes and West Papua. 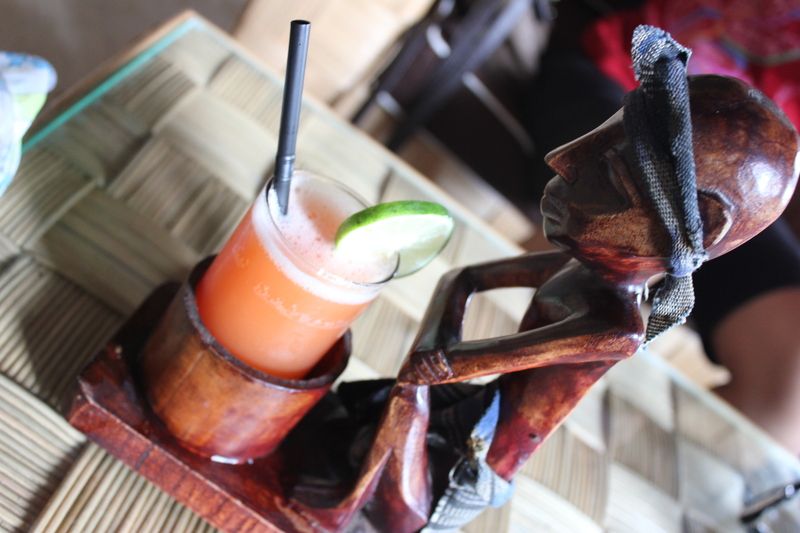 Gili Trawangan is among the lesser Sunda islands in West Nusa Tenggara islands range. When we had lunch on the beach, munching to some local food, one of the guides said the most obnoxious sentence I ever heard on an island. He said; “Villa Ombak is the best hotel in here. It is where the bule stays.” Well, bule is just a nickname locals gave to foreign tourists who have golden hair and white-colored skin. Usually, when we played under the sun for a long period of time, our black-colored hair would turn to a bit reddish. That was when our parents start saying that our hair turned to bule in color. So, when our ancestors (or whoever invented that term) saw blonde tourists, they must have been lack of vocabularies that they named those people, bule. Anyway, as I said earlier, it was so obnoxious. I refused to admit that there was a place in which only bule people can stay. 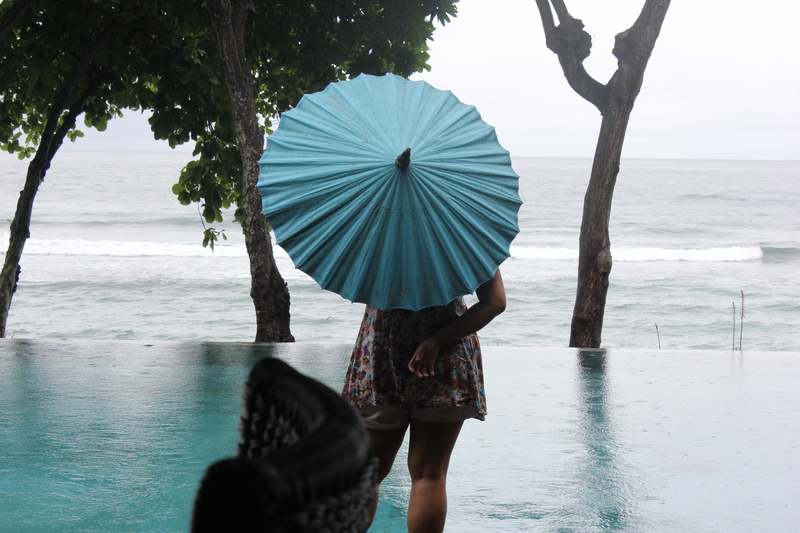 And I made a pact to myself to visit this place, Villa Ombak. 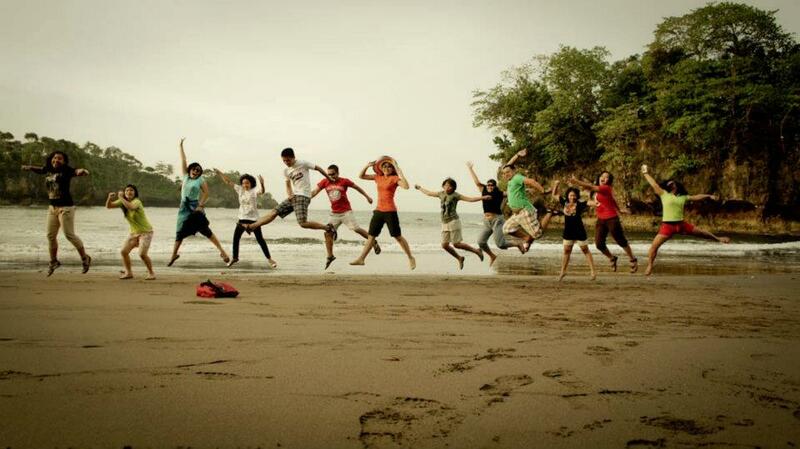 So, last January, I went to Lombok with my friend. On our itinerary, I wrote with bold, Villa Ombak. It was my first time visiting this island by myself. I knew already that Villa Ombak was located on the left side of the harbor … or … that site where the boats stopped. With our hugh backpack on our back, it was a pain staking effort to walk there. Well, I knew it was on the left side, but I had no idea how far it was from the dock to the villa. We just tried our best, then in the middle of the road, we stopped a Cidomo. Cidomo is the local transportation. It is almost like a carriage in a very modest way. You will know what I mean, when you ride it. Surprisingly, we cannot bargain with the driver or rider or … mas-mas, in local dialect. We were so upset because he put 40, 000 IDR for just one trip to the villa. Man! That’s a robbery! That was a price for a nite stay in a shanty room in this island. I don’t know in what stage of life I’m now. What I know, in whichever stage I’m in, I should just snip everything and take a zap to live. And in one of those occasions, you can always find me nesting in my favorite hideouts. This January, or most precisely this year, I intend to start it right. Years back have shown that life can be ugly sometimes–most of the time. And realizing that I have no single clue about what lies ahead I start this year by having a feast of soul quenching holiday. I don’t know whether I am lucky or not, but I live in a country that has various wildlife. When I said various, I really meant it. Sumatran Tiger and Elephant, Orang utan, Siamang, Paradise Bird are just few to mention. 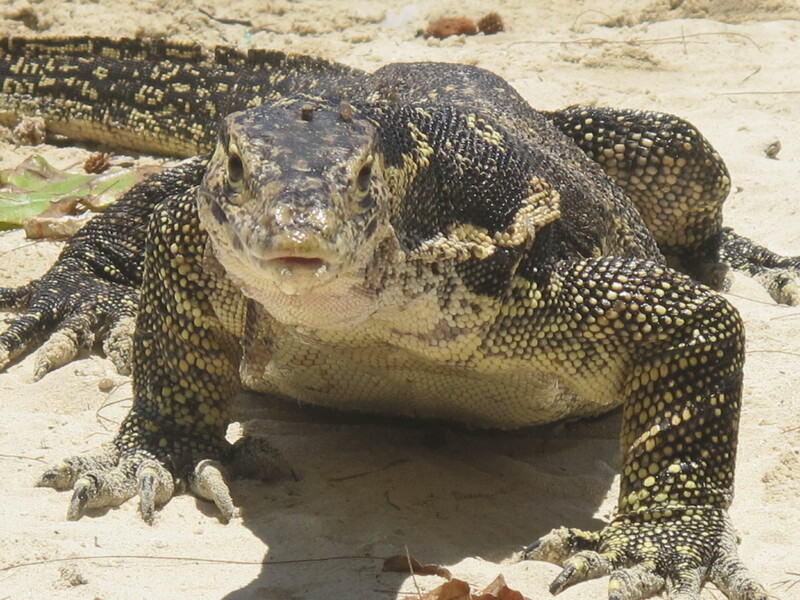 Others are more exotic, such as Anaconda, Komodo Dragon and … Biawak. Just by glancing at it, we can tell that it is a reptile. And of course, it is a reptile. In fact, just in case there’s a scientist-to-be reading this writing, its scientific classification is; animal-kingdom, chordata-phylum, sauropsida-class, squamata-order, varanidae-family, varanus-genus and albigularis-species (as one example). This beautiful exotic tropical island is called the island of the gods and goddesses. It is simply believed as an island where god and goddess live as its beautiful nature is stunning and breathtaking. 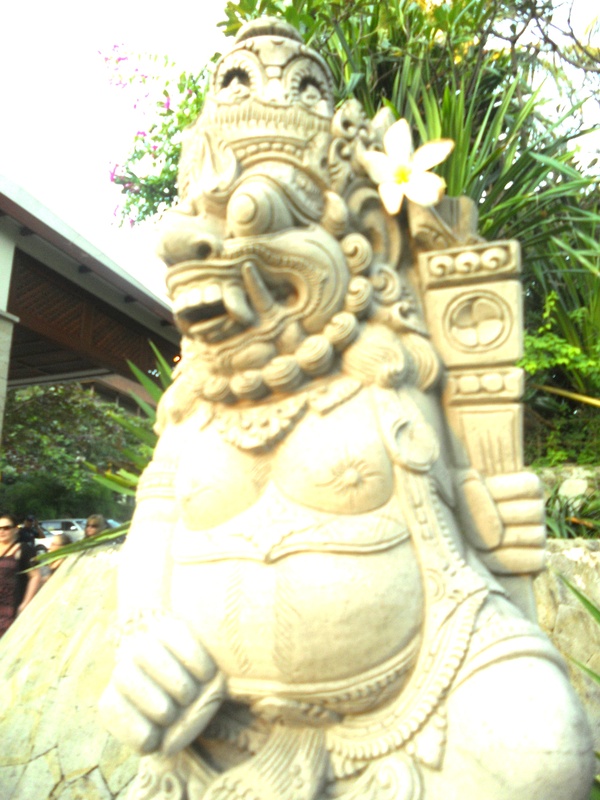 Bali lies at the south coast of a giant archipelago of Indonesia, a South East Asian country. It is located in a range of other topical islands exactly between Java and Lombok, both are also famous with its own beauty signature. As an island, Bali is surrounded by white sand beaches. Coral reefs and cliffs are among its natural heritage, of course, beside its dazzling culture.